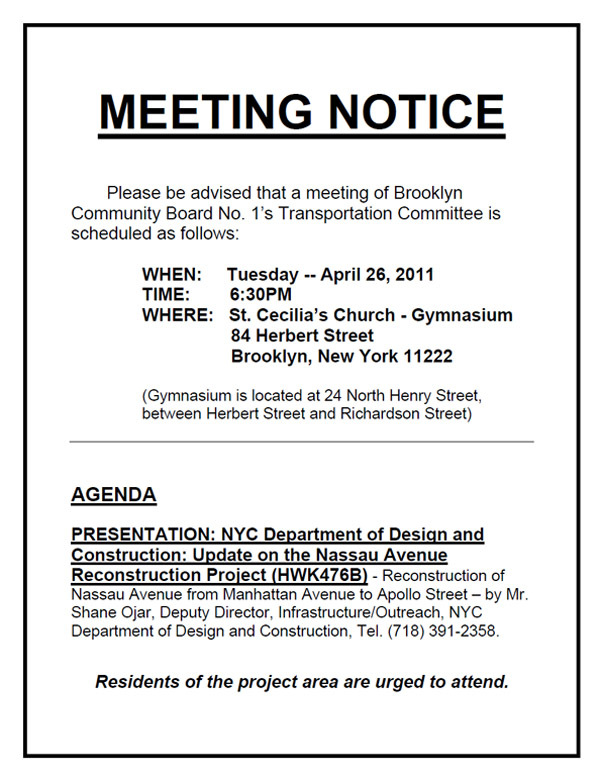 Given the rather acrimonious proceedings regarding this project in the past (lack of communication and the prospect of having one’s stoop lopped off tends to facilitate this kind of thing) I feel compelled to pass along that our inimitable Transportation Chair, Karen Nieves, has arranged a Town Hall Meeting with the Department of Design of Construction April 26, 2001 at St. Cecilia’s Church. At this meeting a presentation will be given apprising residents of any progress/changes made to said project (which as some of you recall now includes the city buying back the demapped strip of Monitor Street between Greenpoint Avenue and Nassau Avenue). Yours truly has little doubt this forum will prove to be no less provocative than its predecessor. Mark your calendars, folks! 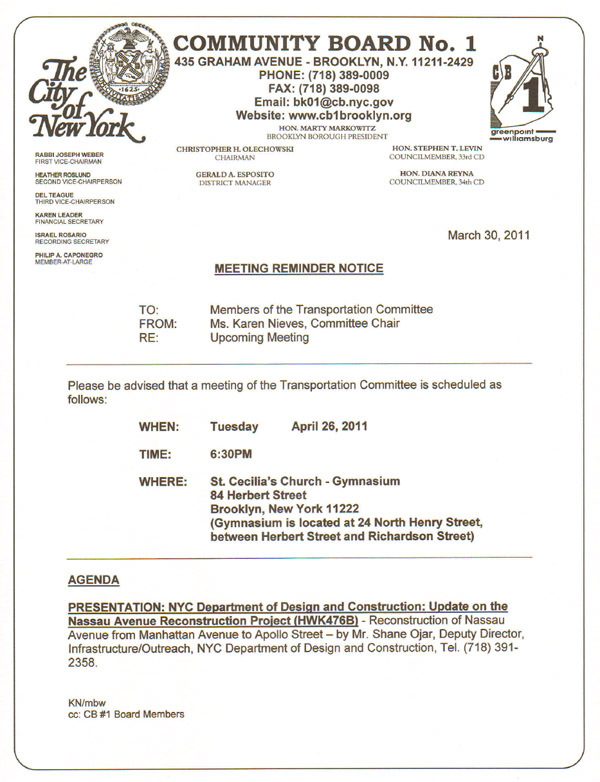 April 26, 2011 starting at 6:30 p.m.